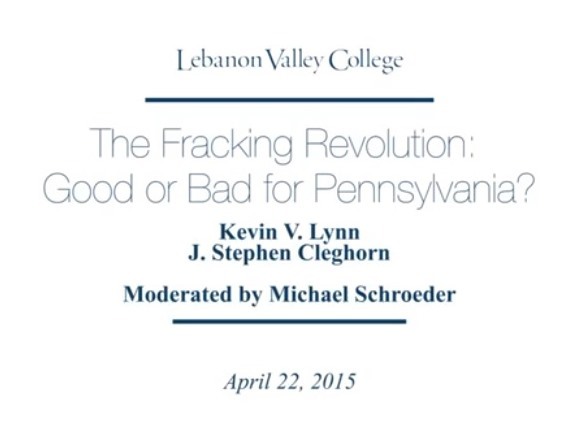 On April 22, Earth Day 2015, I went to Lebanon Valley College to take part in a debate on fracking. It was called “The Fracking Revolution: Good or Bad for Pennsylvania?” Hosted by LVC history professor Michael Schroeder, the debate put me up against Kevin Lynn, Communications Director for the Linde Corporation, a company providing pipeline and other construction services to the shale gas industry. That debate can now be seen online at this link. At the debate I promised Mr. Lynn that I would provide him with sources behind the statements I was making. That is what the following does. Starting with a letter to Mr. Lynn, I lay out a host of resources that cause me to be calling for a ban on fracking. My response to Mr. Lynn starts with a letter asking him to think more deeply about how we are relating to Nature and to Mother Earth these days. I share that response here so that others may access the resources that I was referencing as we debated. Hopefully these notes & sources will be of use to others as we continue our work to ban fracking. Well, here is that email (Word version is attached, too.) The stack is pretty high. I am sending this to our debate convener Michael Schroeder, too, in hopes that he can make it into a Google document that gets posted with the debate video so that people watching the debate can find out why I said what I did. I hope you will do a similar document of resources for the points you made. I think it would be good for people watching our debate to have the sources we each brought to the table either on paper or in our heads. I sought out Dr. Engelder for his ideas about fracking, and I actually hope he is right in his recent study that “Capillary tension and imbibition sequester frack fluid in Marcellus gas shale” (http://www.pnas.org/content/109/52/E3625.full ), but I also read the “Reply” that states “there is evidence for natural migration of brine and subsequent dilution in shallow drinking water aquifers. The timing of emplacement and the rate of brine migration remain open and important questions in continuing efforts to determine risks” I have more about that in reference below, but here is the “Reply” to Dr. Engelder. (http://www.pnas.org/content/109/52/E3626.full ). The Engelder piece and the “Reply” brings me back to what I say most often about the risks of this industry – there is no scientific consensus that irreparable environmental harm cannot happen as a result of this kind of drilling for natural gas. That is why I consider the practice and the industry (corporations and people) to be fundamentally irresponsible in going forward with it given the current state of the science about it. By the way, Range Resources (like other companies) has pretty much admitted as much about their ignorance of what is happening down below in its SEC filing for investors, where they have to inform them of risks. See the last sentence especially that states: “As we begin drilling to deeper horizons and in more geologically complex areas, we could experience a greater increase in operating and financial risks due to inherent higher reservoir pressures and unknown downhole risk exposures” (emphasis added). That sounds altogether too risky to me and I think it a good example of the “hubris” exhibited by humans in the ways we think we can “manage” and “control” the physics, biology and hydrology of our Earth to get some relatively cheap fossil fuel. Be that as it may, you asked me for sources and here they are. By no means have I worked through every moment of our debate as I simply cannot devote that kind of time to it right now. However, I hope you will find that I have addressed the points that most concerned you. I look forward to seeing your reply. Okay, true enough, it is hard for me to be calm based on what I have found going on with fracking, and all manner of other extreme and profligate use of fossil fuels when we should and do know better. But unlike the father in the song, I am not ready to advise myself to settle for losing my dream that we may be able to sustain this planet for future generations. In the end I felt like we were debating around the edges of the real debate, which is really about what sort of dream we have for this Earth. I cannot be happy just “thinking of everything I’ve got” from the industrial era that is now threatening to deprive my children and their children of the enjoyments of life and Nature that I have enjoyed. You and I were debating on points of “mechanistic science” that seems to offer no more hope for the world than yet another technical solution, some sort of big CO2 sucking machine (geo-engineering) to restore a habitable atmosphere, or some sort of yet to be discovered “fix,” when I believe the real hope lies in a change of consciousness and spirit, reclaiming the way a child perceives Nature, the very perception the father in the Cat Stevens song is telling him to abandon. It is just that abandonment that I refuse to do. At the same time I have been trained as a scientist (albeit a social scientist), and that means I must be prepared in debates such as we had to stick to facts and not talk about dreams. So now I return to that and provide the sources I promised to provide you and others listening in on us. 4) When is use the word FACT it is because I presented this in the debate, and do so again in these notes, as a FACT that is based on science and studies. 5) Italicized words are direct quotes from the source being referenced. That said, the issues are not arranged in order of priority. This is not a paper so much as a collection of notes related to what we talked about at Lebanon Valley College. So here we go with some proof and statistics (if you read the studies). ISSUE: GLOBAL CLIMATE CHANGE, NATURAL GAS AS A BRIDGE FUEL to a cleaner energy future. Is natural gas a “bridge fuel” or does the investment in oil & gas infrastructure commit us to fossil fuels & detract from the effort to develop renewable energy sources? What about fugitive methane from fracking practice and infrastructure as a fact that hastens climate change? KEVIN: questions the 5% methane leakage that negates the greenhouse gas benefit of burning natural gas for electricity generation. “I’m not afraid of the truth.” Show me the studies. STEVE: Yes, NG burns cleaner, but then we must look at life cycle analysis of how fracking puts methane, a potent greenhouse gas, into the atmosphere. FACT: science says about 5% loss from newly built infrastructure and practices of (High Volume Slickwater Fracking (HVSF). So here are some studies having to do with methane migration, right now and very likely far into the future as well casings inevitably fail. CLEGHORN: Science is not completely settled yet as to raw methane emissions, with estimates of leakage running between 2% and 17%, but the facts are a far cry from industry PR about how NG is a “bridge fuel.” Best estimates of methane emissions (from flaring, leaks thru the infrastructure) is about 5% – which negates the climate change benefits of burning NG for electricity as compared to coal. And that does not even count the thousands of old shallow wells that are leaking methane, and it does not consider the industry’s own estimate that about 50% of the concrete & steel casings in their wells will develop leaks within 30 years and we will have methane coming up into the atmosphere and water tables. Methane is much more potent as a greenhouse gas on a 20-year horizon and we do not have 20 years to get global warming under better control. Better controls are being required now, but the industry lacks credibility in saying that that this is a contribution to reducing greenhouse gases. Yes it is at the point of burning this fuel (versus coal) for electricity, but that is about all. The lifecycle analysis of this industry’s impact on climate change tells another story altogether. CLEGHORN: The Mother Jones article referenced above mentions “green completions” as one way to reduce the methane emissions, and some companies like EQT are doing that, which helps for sure, but we read also in the article that follows that the American Petroleum Institute is fighting the EPA on making green completions and other tougher regulations the norm. CLEGHORN: So the debate goes on and, I would say, the industry always drags its feet (except from some companies like EQT) if cleaner technology costs it money. In my view the verdict is pretty much in that this extreme form of fossil fuel extraction is no bridge to the future of renewable energy sources. Lifecycle analysis of the totality of the fracking enterprise shows that methane migration exceeds 5% of what is brought up from the shale, after which its benefits for reducing greenhouse gases is wiped out. In addition, the global warming and climate change data essentially recommend leaving the remainder of fossil fuels in the ground and moving rapidly to a renewable energy grid, distributed energy systems and so forth. Those will cost a lot of money to make happen, and the money for that is being choked off by the huge subsidies going to the oil and gas industry. ISSUE: WELL CASING FAILURES THAT LEAD TO LEAKAGE OF GAS AND FLUIDS. CLEGHORN: The statement I made about 50% of casings failing within 30 years came from this report put out by Schlumberger. CLEGHORN: Upon second look I see that it was in reference to casing failure in offshore drilling, which may be riskier than onshore. But this is still industry data. Granted, the technology may have improved by now, but the risk is still too high as we see below. Dr. Anthony Ingraffea says in his lecture “The Facts of Fracking” that fracking is not yet a steady-state technology, being made up as the industry encounters different geologic conditions, basically a kind of open air “experiment” happening where we live. Even Dr. Engelder agrees with Ingraffea on that, but argues that Pennsylvanians need to be willing to let the industry “experiment” until they get it right. A former EPA official who worked on the 1987 report and asked not to be named said that the agency was aware of other cases of groundwater groundwater pollution involving hydraulic fracturing but did not include them in the report because the details were sealed under confidential legal settlements reached between affected property owners and energy companies. The 1987 document noted that such settlements often presented hurdles for the EPA’s investigation. The work of Dr. Marc Durand, honorary professor of engineering geology, Earth Sciences Dept. Univ. of Quebec who has made a case that the ubiquitous drilling into the shale (as is necessary to get the gas out economically) will leave behind (in PA alone) more than 150,000 well bores whose “long term behavior” is unknown. CLEGHORN: This issue of fluid and gas migration is related to Kevin questioning whether any study had ever shown that gas from the shale had gotten into wells or groundwater supplies. STEVE: There was Duke University study showing methane in groundwater with chemical signature of shale gas. In active gas-extraction areas (one or more gas wells within 1 km), average and maximum methane concentrations in drinking-water wells increased with proximity to the nearest gas well. CLEGHORN: The Duke study had a follow-up, saying that well casing failures were the likely cause of methane migration from the shale, not fracking itself (in other words it came up the well bore, not through the rock above the shale. CLEGHORN: “Decades” is not geologic time, but human time, and the following study indicates that we should be concerned about what we are passing on to our grandchildren. FACT: this industry standing in the way, gobbling up 10X the subsidies as compared to renewables. KEVIN: Asked me if I thought we could get to all renewable energy sources within the next couple of decades. I said “Yes” if we had the will to do so, but “No” as to right-now realities of our public leaders being owned by oil and gas interests and the public not demanding renewables or wanting to curb energy use. This study speaks to how it could be done. “Gag orders” are a common outcome of court cases where the industry thinks that the facts of the case are not in their favor, so at the advice of its lawyers and risk assessment consultants the industry settles with plaintiffs and requires them never to speak of the facts or the nature of the settlement, otherwise they will lose the settlement. The records are sealed by the courts. This is a STANDARD BUSINESS PRACTICE that withholds important data from the public. CLEGHORN: There are too many sources of facts to reference here. I will only touch upon a few resources for the facts on public health impacts that are easily obtained. As I mentioned in the debate, I very much recommend you take a look at “The List of the Harmed” by my neighbor and organic farmer Jenny Lisak. She has compiled reports from all over the country about people who have been harmed by fracking operations. This is her list for Pennsylvania alone. She has 503 cases listed here as of this date. You can read through them and make of it what you will. CLEGHORN: Kevin claimed in the debate that New York’s decision to ban fracking was all about New York politics and Cuomo’s re-election. However, this report and the decision to ban fracking came out after the election. It is an essential document being studied worldwide and should not be so easily shoved aside as a political document. KEVIN: “I’ll leave it to you to talk about the environmental damage of solar panels” – That was an insinuation that solar is just as bad as other energy sources in terms of environmental degradation. That insinuation is just dead wrong. I did not respond to this in debate, but here is what I see on that. All energy sources have some impact on our environment. Fossil fuels — coal, oil, and natural gas — do substantially more harm than renewable energy sources by most measures, including air and water pollution, damage to public health, wildlife and habitat loss, water use, land use, and global warming emissions. 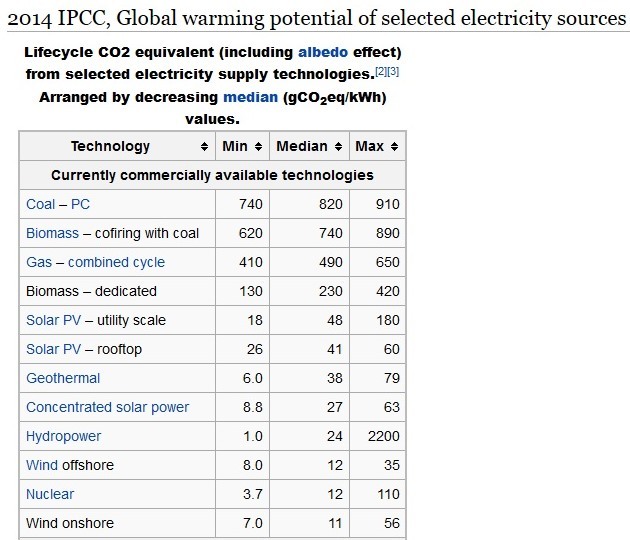 The chart in the Wiki article (from the IPCC Working Group) clearly shows that solar PV technology of the type I have on my barn rooftop produces about 6% to 9% of the CO2 as that which comes from electricity powered by natural gas. Even at utility scale the solar is much cleaner, but I am of the opinion that distributed solar electric generation (off the grid) would be the better way to go, although there are locations for large solar arrays (like brownfields) where it would make sense to go utility scale and keep the environmental impact low. CLEGHORN: Part of my farm’s solar system is solar thermal, which has even less of an impact in its impact. CLEGHORN: As for the trace metals and other hazardous materials used in producing solar, these are essentially the same as all electronics and we do have problems there, especially in waste disposal for discarded electronics. Solar panels last much longer than TVs, maybe about 30 years, so that helps. Once they are made they just produce, produce, produce without new inputs of coal or gas or nuclear. Lots of good information here. There are also exciting new technologies coming around for solar that are based on nanotechnology. http://cleantechnica.com/2012/05/24/new-inexpensive-environmentally-friendly-solar-cell/ Just as, parenthetically, there is new technology for wind turbines that does not take up as much space nor cause harm to birds or bats (although the latter has been overblown according to actual studies of bird deaths near wind generators). http://www.wired.com/2015/05/future-wind-turbines-no-blades/ And we cannot forget Elon Musk who is coming out with a home battery that can store solar electric energy and make it more practical to build distributed energy system. As to the environmental impact of the battery Tesla has in development, I an still looking for a good analysis on that. Lastly on this environmental impact of solar energy, none of this addresses the economic injustices of how we come about obtaining trace minerals (in Africa and elsewhere), but that is a human problem that needs a political solution. KEVIN: We need the energy. Is there anyone in the room who thinks we will use less energy five years from now than we are using now? I would love to live on renewables, but it represents only 14.2% of power generation,, which means we have to shut off the lights and refrigerators etc six out of seven days a week if we want to live only on renewables. The problem in America is that we need a lot of energy and the renewables are not feeding the beast. STEVE: Here is how I take issue with such statements. This infographic pretty much sums up the potential of renewable energy sources. As I said in the debate, the fossil fuel industry is sucking up the vast majority of public subsidies for energy development and thus standing directly in the way of building what we need for the future if we are to avoid the escalating catastrophes of climate change. By the way, Bernie Sanders, when he announced his bid to be President in Burlington, VT, he did it from the first city in America to get all its electricity from renewable energy sources. CLEGHORN; My point in the debate was that the world at large is moving quickly to convert to renewable sources of energy for electricity generation while America is using more extreme forms of fossil fuel extraction (fracking, offshore drilling, mountaintop removal) at a time when fossil fuels should be left in the ground. CLEGHORN: I do not agree that our future has to be increasing energy and growth. We have altogether forgotten how to imagine and dream if that is our perspective. I mentioned some of the young people (and some of us older ones) who are doing work to transition to a less consumptive way of living. Some of that thinking revolves around “degrowth” strategies. I find this kind of thinking to be very enourgaing. Degrowth (‘décroissance ’in French) was launched in the beginning of the21st century as a project of voluntary societal shrinking of production and consumption aimed at social and ecological sustainability. This is not really new. “We must rapidly begin the shift from a thing-oriented society to a person-oriented society. When machines and computers, profit motives and property rights are considered more important than people, the giant triplets of racism, extreme materialism and militarism are incapable of being conquered.” – MLK Jr.
KEVIN: quoting a New York Times editorial that attributes drop in CO2 emissions to natural gas being substituted for coal in electric power generation. But is that just establishment hype? Contrary to popular perception, 2012 data shows that the increased use of natural gas in the electric power sector is not the largest contributor of energy related CO2 reductions in the US over the past year. Nearly 75% of the CO2 savings are attributable to economy-wide demand reduction driven by energy efficiency, conservation and the mild winter of the first quarter of 2012. Carbon dioxide (CO2) emissions in the United States increased by about 7% between 1990 and 2013. Since the combustion of fossil fuel is the largest source of greenhouse gas emissions in the United States, changes in emissions from fossil fuel combustion have historically been the dominant factor affecting total U.S. emission trends. Changes in CO2 emissions from fossil fuel combustion are influenced by many long-term and short-term factors, including population growth, economic growth, changing energy prices, new technologies, changing behavior, and seasonal temperatures. Between 1990 and 2013, the increase in CO2 emissions corresponded with increased energy use by an expanding economy and population, and an overall growth in emissions from electricity generation. Transportation emissions also contributed to the 7% increase, largely due to an increase in miles traveled by motor vehicles. CLEGHORN conclusion – the fact that the oil and gas industry can influence the editorial board of the New York Times to buy the idea that shale gas is responsible for recent reductions in CO2 emissions is not surprising. Besides, what are we to think when EPA published information that emissions increased between 1990 and 2013? The false promise of fracking and local jobs – by Dr. Susan Christopherson, a widely recognized and honored regional economist. A new study by the UK’s Energy Research Centre (UKERC) took a deep dive into job creation claims made by proponents of renewable energy and energy efficiency, looking at the figures and projected figures for the EU from a number of angles. It came to the conclusion that in the short run, moving to renewables and ramping up energy conservation would create more jobs than the fossil fuel sector, at a rate of about one job per gigawatt hour of electricity saved or generated by a clean energy source, with the long-term picture murkier because of factors in the economy and government policy that are hard to predict. CLEGHORN: My view on this is that renewable energy jobs could provide a “just transition” from an economy based on fossil fuels, providing at least 1-for-1 replacement of all jobs in fossil fuels on which people rely to support their families, and very likely putting many more people to work as jobs are created at a higher rate than they are in the fossil fuel-based industries. CLEGHORN: I will leave the sourcing of my statements about this for another time, because in essence this is an energy policy issue. Private corporations are in charge with respect to where they sell gas extracted in America. There is no national energy policy that would keep the gas in America. And once the export capacity is built, the gas will be sold to the highest bidder, which economists and the US Department of Energy say will drive up prices for Americans. I don’t think these matters are really in dispute. ISSUE: CAN WE TRUST THE EPA ON A PRACTICE SUPPORTED BY THE PRESIDENT AND MOST OF CONGRESS? Are politics involved? CLEGHORN: Of course such cases of political pressure on EPA to suppress facts not favorable to the industry are hard to prove, but there are extremely suspicious cases in Dimock, PA and Pavillion, WY and Parker County, TX where EPA did a U-turn on their findings when they came under pressure from the gas industry. In the TX case Range Resources threatened to pull out of a national study on fracking unless EPA backed off its finding in that case. Why Would EPA Hide Info on Fracking & Water Contamination in Dimock? The Los Angeles Times published a story today reporting on a leaked document that indicates that the Environmental Protection Agency has never conveyed to the public the possibility that methane released during drilling “and perhaps during the fracking process” resulted in “significant,” and possibly long-term, “damage to the water quality” of a drinking water source for 19 families in Dimock, Pennsylvania, even though some staff believed this was the case. CLEGHORN: EPA’s work is politically influenced and proscribed. The EPA cannot even get access to fracking sites for its national study unless private companies allow them onto those sites (and control what EPA can see, is my guess). That is why Range Resources was able to make EPA back off on the Parker County, TX case – saying they would not cooperate with the EPA if it did not drop that case. ISSUE: WHAT ABOUT INDUCED SEISMICITY FROM FRACKING? Earthquakes Induced by Fracking (or just waste disposal injection wells? A new scientific study has linked 77 minor earthquakes last March around Poland, Ohio, just across the Pennsylvania-Ohio state line, to hydraulic fracturing. The seismic sequence, including a rare “felt” quake of a magnitude 3.0 on the Richter Scale, was linked to active “fracking” by Hilcorp Energy Co. on a well pad about a half mile from the epicenter, according to research published online in the Bulletin of the Seismological Society of America. “Fracking wells in Pennsylvania’s Marcellus Shale region are disproportionately located in poor rural communities, which bear the brunt of associated pollution, according to a new study. CLEGHORN: This PPT is a bit dated since I last updated it in 2012. But in my view the case has become stronger to ban fracking. If you see errors of fact in this presentation, let me know and I will look into those and change the slides as necessary. I ran this by the folks at the Penn State Center for Outreach and Research, which as you know is focused on shale gas extraction, and they had no objections to facts. They only stated that some concerns about the process are still being debated in the scientific literature, and they told me I had done a good job of indicating the facts of this industry for which there is no scientific consensus, yet on the industry rolls with risks I consider to be too great. The bottom line that I emphasize in my PPT and here is that the industry cannot meet the standard of “The Precautionary Principle” and has not yet proven, in the face of credible scientific analysis, that it cannot cause irreparable environmental harm. In some countries what the US shale gas industry is doing is illegal because those countries have established the Precautionary Principle in law.